If you want to make realistic-looking fondant bacon, you need to think about what makes the real thing look like it does. 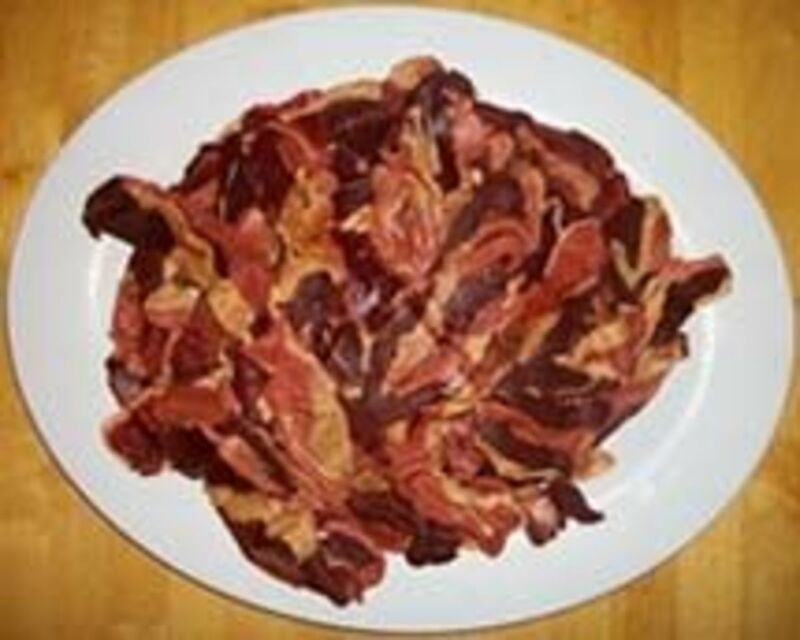 Bacon is a preserved and seasoned cut of meat consisting of layers of fat and muscle tissue. 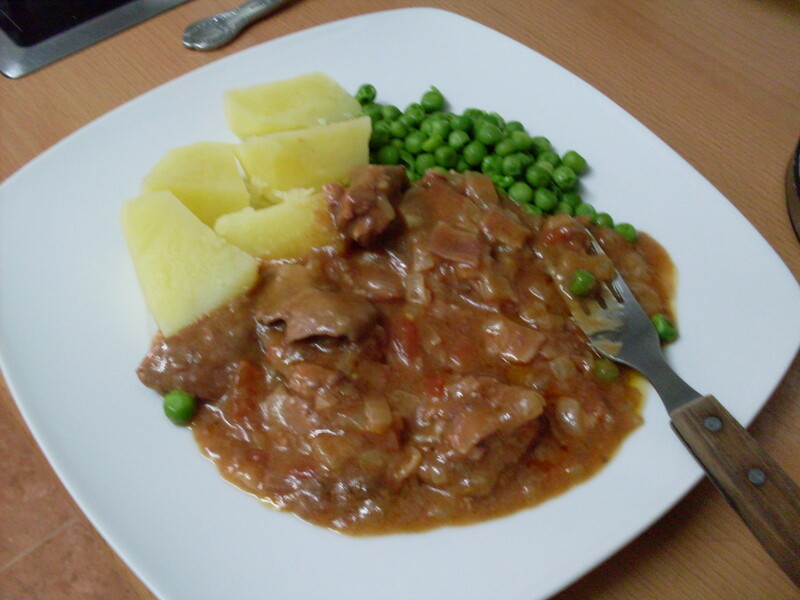 When cooked, it has a lumpy, irregular shape because the marbling of fat and meat causes different parts of each piece to shrink to different degrees during cooking. It has a palette of reddish to brown earth tone colors with characteristic differences in color caused by its irregular shape which cooks somewhat unevenly. 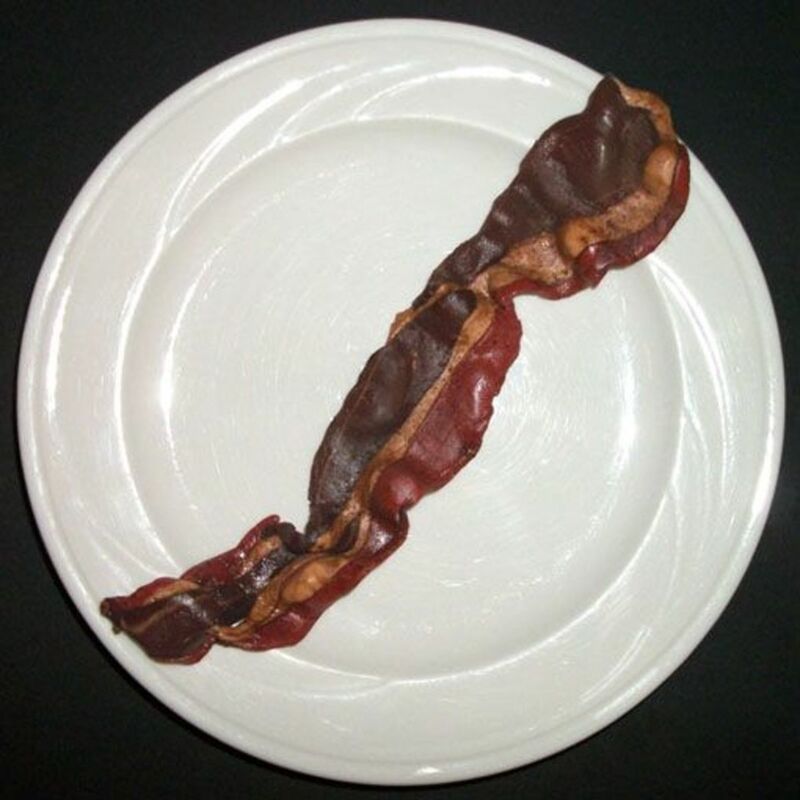 The following tutorial takes all of those factors into consideration and provides techniques to simulate the appearance of real bacon. If you don't have time to make your own fondant, this prepackaged assortment would also work. 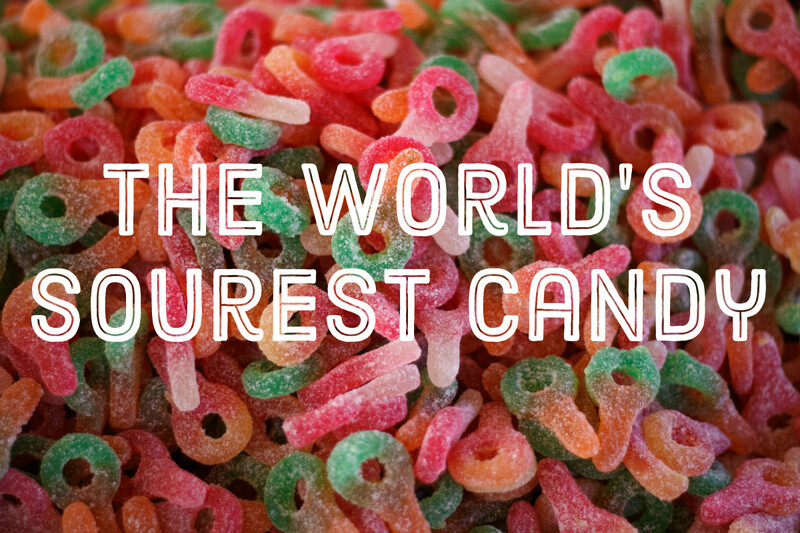 While more expensive than making your own, it isn't terribly pricey. If you knead a few dabs of orange gel food dye into the dark brown variety in this box, it will make a decent substitute for the terracotta-colored version you need. The pink and dark brown mixed together would likely make a decent "bacon fat" color, too. Lay down waxed paper to use as a work surface. Grease it very, very lightly with vegetable oil. Add terracotta-colored fondant to the white kind just a pinch at a time and knead it together while kneading in cocoa powder a pinch at a time until the fondant until reaches the color of cooked bacon fat. Set the fat-colored stuff aside. Knead cocoa powder into the terracotta-colored fondant a pinch at a time, until it reaches cooked bacon meat color. Pull off a small piece of the fat-colored fondant and knead it together with a similar sized piece of the meat-colored kind until you reach a color somewhere between that of cooked fat and cooked meat. 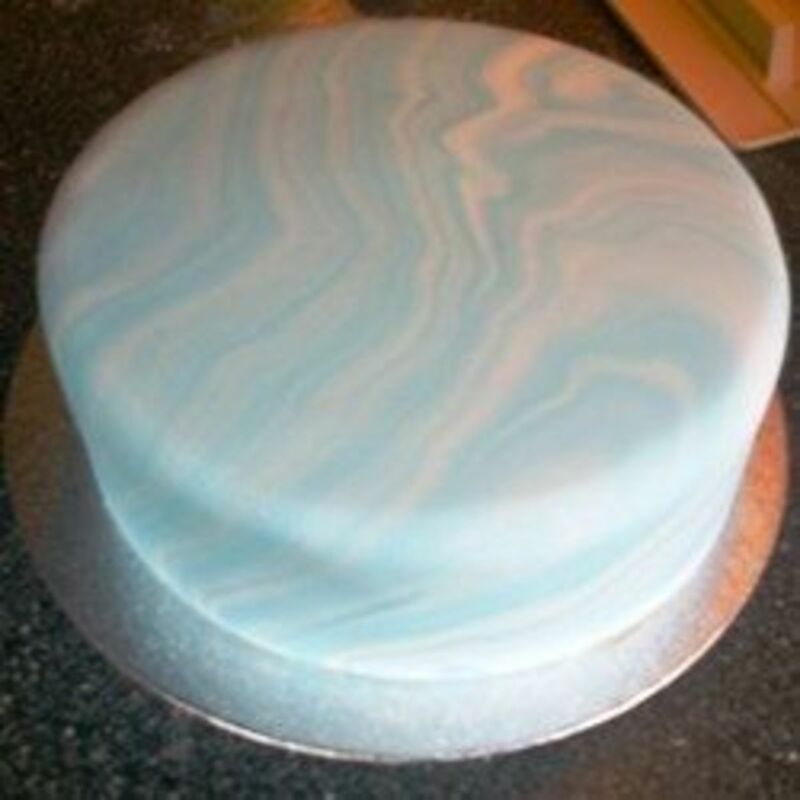 If you desire, you can create a light, thin marbling in the terracotta-based fondant by very gently kneading in a small strip of the fat-colored kind, squashing it and flattening it out until you reach the desired effect. 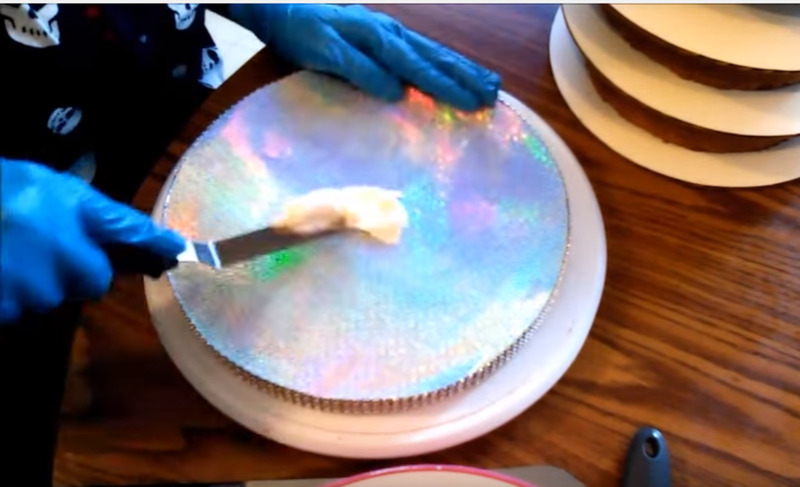 Roll out your different colored pieces of fondant to about one quarter inch thickness. Cut sections of different colors as shown. Remember that bacon is not a straight rectangular strip, it is a cut of meat with a heavy marbling of fat with an irregular profile. I generally taper or round the ends of each strip and try to mimic the shape of the fat and muscle that occurs with real bacon. Make the strips narrower than you wish the finished product to be because they will widen in the process of putting them together. Lay the strips you wish to incorporate into a single piece of bacon next to each other with their edges touching. Step Three: Flatten the Piece of "Bacon"
Roll over the aligned strips gently with an oiled rolling pin until they are about an eighth of an inch thick and stuck firmly together. 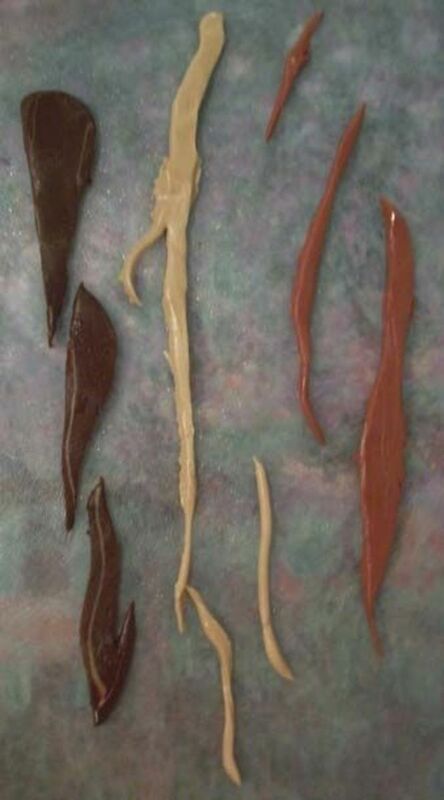 Prick at the fondant with the tip of your knife on the edges and where the colors meet both to help them stick together and to somewhat roughen its texture. Lift the edges gently off the waxed paper and put tiny, rolled up bits of waxed paper underneath them wherever you'd like it to be bubbled up or wrinkled to give it a cooked appearance. A dusting of cocoa powder provides a realistic-looking matte finish. 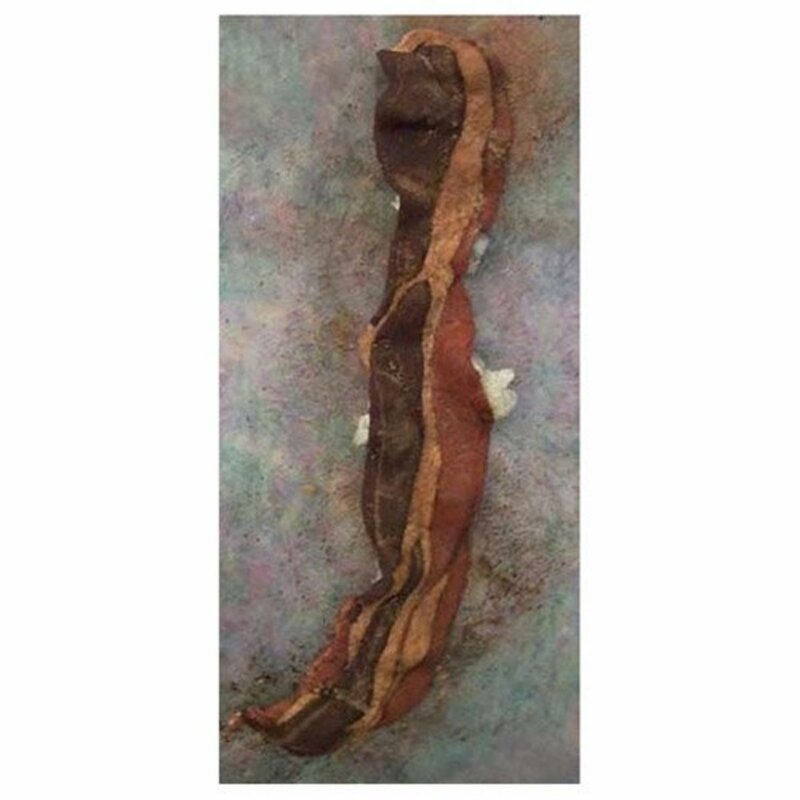 Using a clean, new paintbrush or the edge of a torn paper towel, brush cocoa powder lightly onto the "bacon." Apply it until it looks right to you. The edges, the domes of the bubbles, and the tops of the wrinkles or ridges tend to brown more than the dips and flat parts do. 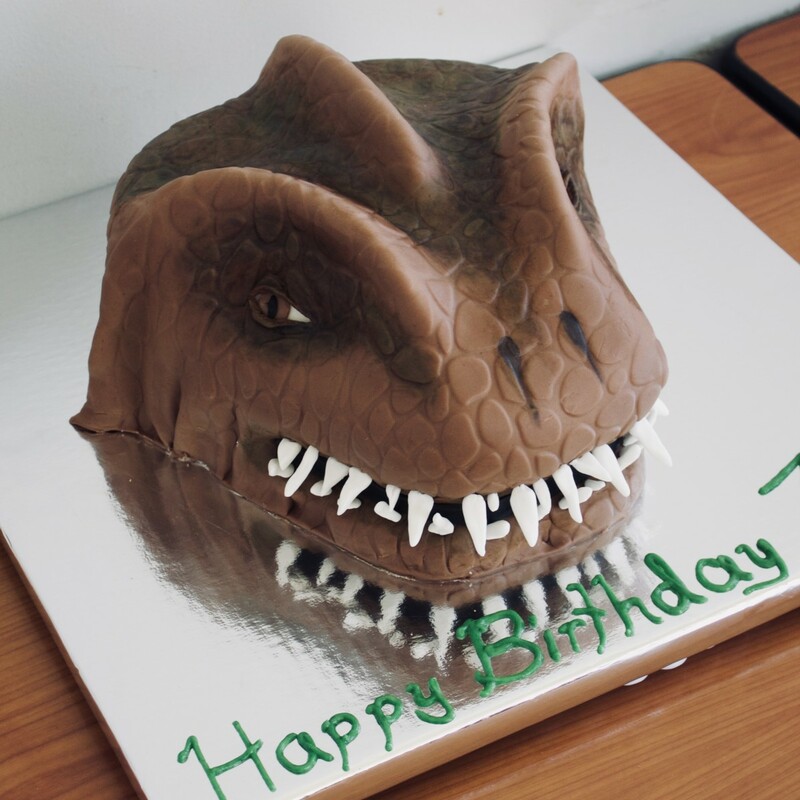 A very light brushing of cocoa powder over everything prevents any of the fondant colors from looking too uniform. Set it aside to dry for at least a few hours, it depends on the humidity and how "crispy" you need the finished product to be. Enjoy your faux bacon. The number of strips of bacon from a given amount of fondant varies greatly depending on how you make your strips. 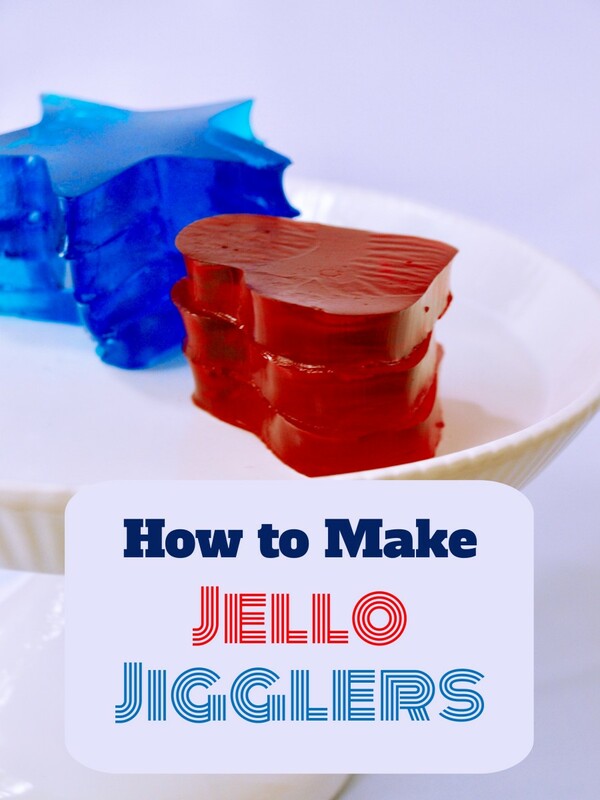 You can use it to decorate cakes or cupcakes or you could even lay out a bunch on a plate as a novel sweet treat at a party. They have a sweet, mild cocoa taste. It takes about forty-five pieces of fondant bacon to solidly cover a 9 by 11 inch cake with trimmed corners like the one in the photo. This cake was dark chocolate with dark chocolate ganache frosting under the pile of faux bacon. I made it for my roommate's boyfriend's twenty-fifth birthday. 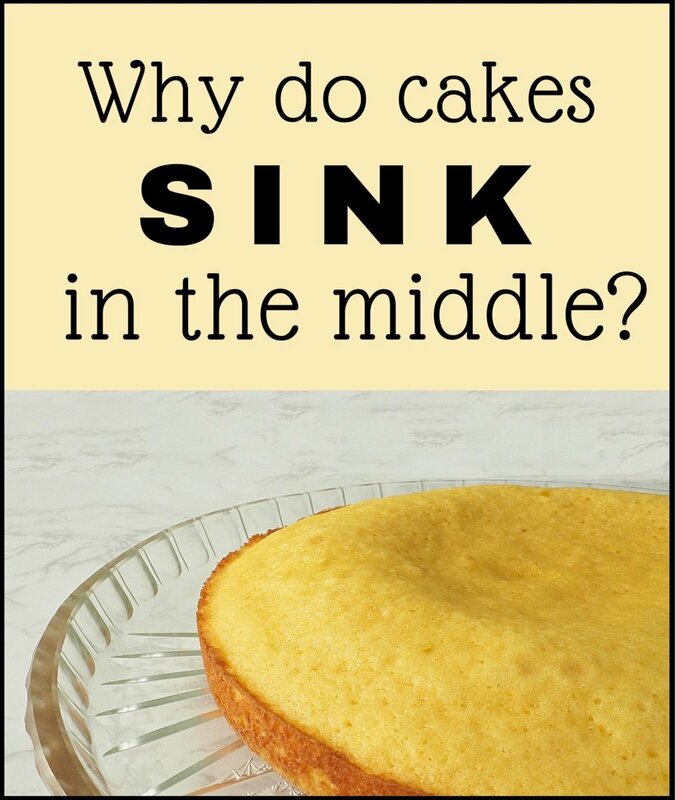 This page doesn't use standardized cake decorating terminology because I am not a professional cake decorator. I merely apply logic, critical observation, and simple artistic techniques to the medium of fondant. What Do You Think About My Fondant Bacon? Does It Look Pretty Realistic To You? creative cooking and preparation of Bacon at its best. really appreciated your creativity and thanks for sharing this on Hubpages. Wow - That really does look real! Interesting hub. It DOES look convincing. Nice job! 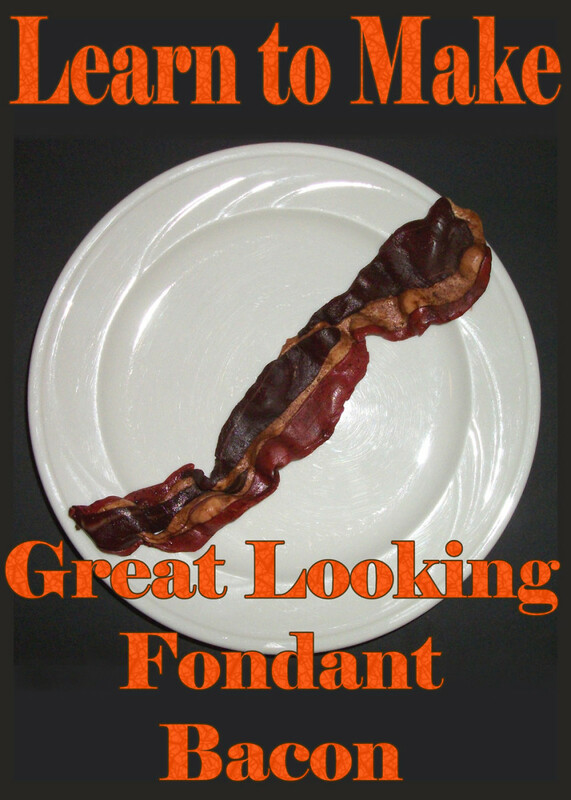 I can't wait t make my own fondant bacon! Well, as a confirmed bacon lover I'd say you did really well. I'm hungry. wow this is so amazing I actually thought it was a real plate of bacon until I read that it was fondant, what a great tutorial for making a bacon cake. Something unique too. Can't wait ti try it! Thx! A brilliantly original idea! 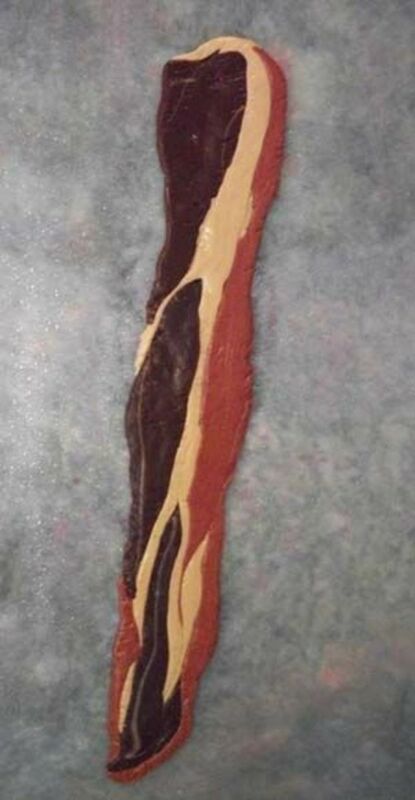 It really does look like bacon, I would feel a bit weird eating it, but I'm sure kids would love it. Congrats for your TOD! Great info! Thanks! Wow - what a great looking piece of fondant bacon - thanks for the great instructions. 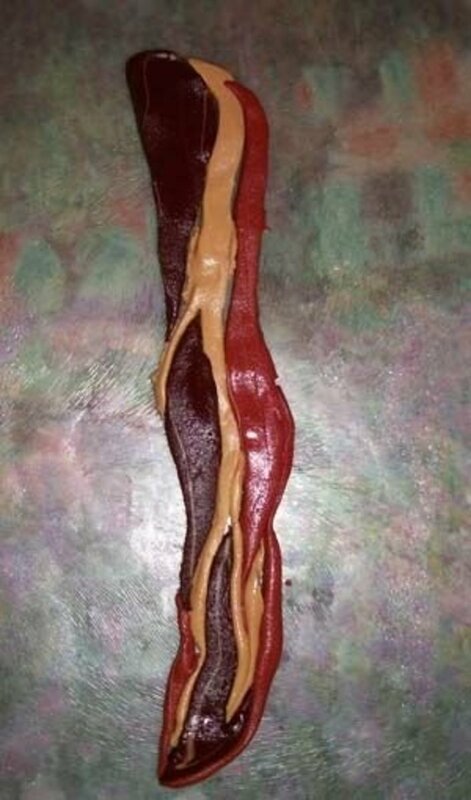 I think it looks incredibly similar to bacon and would definitely be a hit at a lot of parties! Very cool.